Nelleke Deen teaches Open Centered Riding Clinics & Instructor clinics internationally. An Open Clinic is a prerequisite for anybody wishing to progress to becoming a Centered Riding Instructor. Open Clinics can be arranged over a weekend or during midweek and are generally ran over a course of 2 or 3 days. 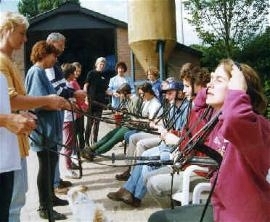 Clinics involve both groundwork and ridden work. 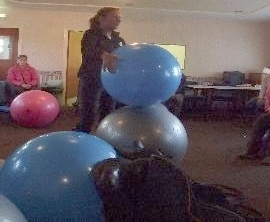 Groundwork is fun and informative and Nelleke incorporates use of physio balls and trampolines to increase movement awareness. 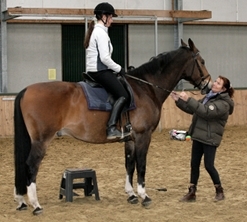 Nelleke also incorporates TTEAM exercises into her clinics. 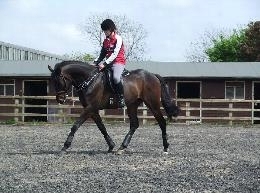 The use of bridle work raises rider awareness of 'contact' and how their own 'contact' is percieved by the horse. To arrange a clinic please contact us.